"The Recital Of The Western Exile"
We are delighted to present „Recital of The Western Exile“ an exhibition showing two lms by artist Mireille Kassar, opening on the 21st of March 2018 at Senesi Contemporanea in 25 Dover St, London. 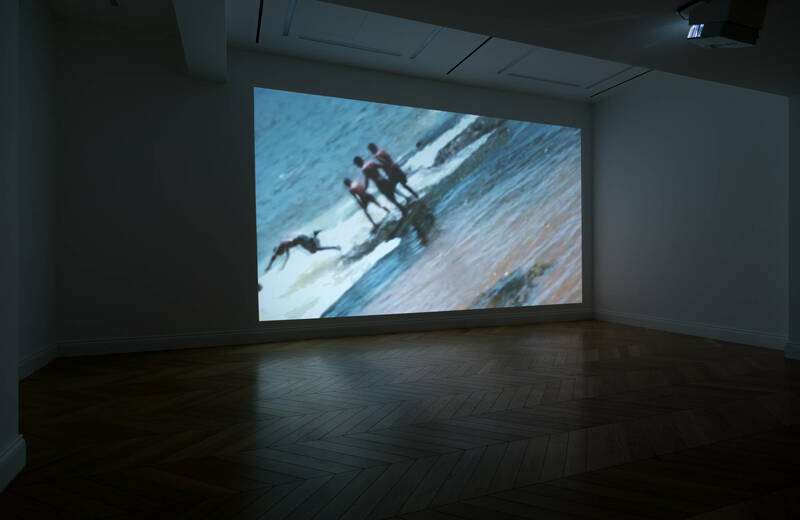 Senesi Contemporanea is delighted to present two films by the artist Mireille Kassar: The Children of Uzai, Anti Narcissus (16’) and Recital of The Western Exile (9’) bear witness to the artist’s long-term artistic and intellectual research that advocates independence and creative autonomy. Mireille Kassar is deeply involved in a multitude of mediums such as film, painting, music and writing - each field is explored in its own right, distinctively expressing her central creative concerns. Her work is distinguished by unusual influences for our time, reciting ancient writings or sentiments. She is furthermore inspired by space, time as well as humankind whose cultural influences were undermined by the approach of our age, yet they can be magically redeemed through the art practice. Kassar dispossesses her medium and resists the archival, the recollecting and re-contextualising of a past. The mediums of her choosing are able to restore authority upon her art practice, in the context of our bio-political age, they reclaim the link with original form of art, the auratic. 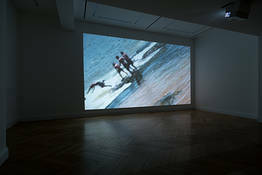 Sound is emphasized in her practice, as a form of expression as well as a medium to gain a better understanding of her work and is one of her main artistic influences. The sound of silence has an equal influence on the artist’s work. In her practice she chooses to listen to the silence, left externally by the noise, “the great silence”, as she titles it. 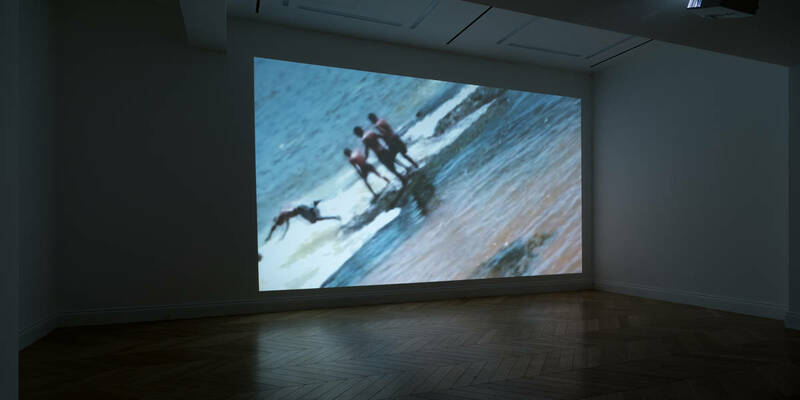 The imagery in her film work The Children of Uzaï, AntiNarcissus translates to a creation of sound and melody, as the outline of the children playing, blends in with the background of the sea and waves, creating visual and vocal layers. Their invisible voices are individually recognizable, despite their separate resonances, creating a unity in their voices, some kind of chorus. Récit de l’Exil occidental narrates a symbolic initiation path to the light trough the watercourse of the Amazon river, delineated by Shiab al- Din Yahya Sohravardi in the XII century. The East is the place where the light, interpreted as the knowledge, resides; it is also where the river flows. The traveller, trough the experience of such travel, transcends the adversities and is able to see the light. Mireille Kassar creates a space of involvement in the mystery of life, real and idealistic. The mystery of oneself that resides in the consciousness of the own uniqueness, however it appears exclusively in recognition to the relationship with the other. This is the idea rooted in her poetry. Born in Lebanon (1963), Paris and Beirut based artist Mireille Kassar has developed a rich and varied body of work that includes paintings, drawings, music, films, writings and installations and has been exhibiting internationally since 1996 (Fondation Joan-Miró, Barcelona). She graduated from «Ecole Nationale Supérieure Des Beaux Arts de Paris» and «Université Panthéon Sorbonne». She is the Art Director at «Amar Foundation for Arab Music Archiving and Research» and an Art Professor at «Ecole Spéciale D’Architecture» in Paris, France. August 4 - 30th 2015: Staatsgalerie "Stuttgart.